Spanner Jazz Punks perform a range of psychedelic jazz-punk numbers from their repertoire, whilst Jessica Marlowe & The Wild Tracks play a number of new, filmic songs. LIVE in session for the Hello GoodBye Show, Resonance 104.4fm on Saturday 18th April 2015. Filmed & edited by Jamie Kennett. 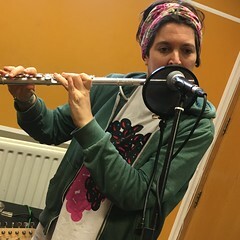 This entry was posted in dexter bentley, hello goodbye show, Live Radio on Film, resonance fm and tagged dan spanner, dexter bentley, hello goodbye show, jessica marlowe, jessica marlowe and the wildtracks, resonance fm, spanner jazz punks. Bookmark the permalink.